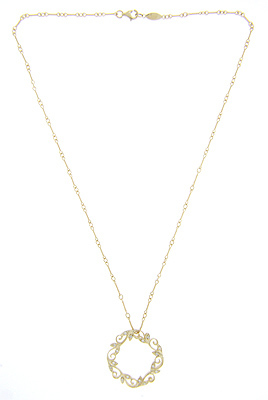 This 14K yellow gold antique style necklace features an interesting linkage and a lovely circular floral pendant. 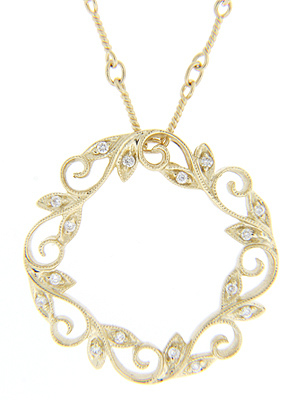 The pendant is crafted in a flowing vine design with diamonds set in the leaves. The pendant measures approximately 1” in diameter. This is the yellow gold version of N615.